The Lakers brought in six-year veteran Michael Beasley for an individual workout this week at the team’s practice facility in El Segundo and could sign him, according to a source familiar with the situation. Beasley had already worked out with the Lakers on July 30 and impressed the team enough for another look. As reported first by USA Today, the Lakers also hosted workouts for seven other players this week, including centers Dexter Pittman, Greg Stiemsma and Daniel Orton, and guards Bobby Brown, Ben Hansbrough, Toney Douglas and Malcolm Lee. Beasley, the former No. 2 pick of the 2008 draft, averaged 7.8 points and 3.1 rebounds in 15 minutes per game last season with the Miami Heat. He played in only four of the Heat’s 20 postseason games, which ended with a five-game series loss to the San Antonio Spurs in the NBA Finals. Beasley has already played for three different teams (Minnesota, Phoenix, Miami), averaging 13.2 points, 4.9 rebounds and 1.3 assists per game. Beasley would add depth to a small forward spot that solely features Wesley Johnson in his natural position. Kobe Bryant, Nick Young and Xavier Henry will likely play some minutes at the small forward position, though all three will also likely have shooting guard duties. The Lakers have shown interest in Beasley before, nearly acquiring him leading up to the 2012 trade deadline. But the deal fell apart just minutes before the deadline expired. The Lakers already have 13 players under contract. They can field up to 20 players during training camp, but they have to narrow that list down to 15 for their season opener on Oct. 28 against the Houston Rockets at Staples Center. After serving as an assistant coach for the Lakers’ Development League affiliate for two seasons years, Phil Hubbard will become the D-Fenders’ next head coach. Hubbard’s other coaching stints have proven wide-ranging. He had assistant coaching gigs with with the Atlanta Hawks (1995-98), Golden State Warriors (1998-2003) and Washington Wizards (2003-09). Hubbard worked as a college scout for the New York Knicks (1990-95). He coached overseas in China and the Dominican Republic. And Hubbard had extensive ties to the D-League, including assistant coaching gigs with the Reno Bighorns (2010-11), D-Fenders (2011-2013) and the Santa Cruz Warriors (2013-14). Hubbard, the 15th pick of the 1979 NBA draft, also had a 10-year NBA career where he averaged 10.9 points, 5.3 rebounds and 1.3 assists in 665 games with the Detroit Pistons (1979-82) and Cleveland Cavaliers (1982-89). Someone might call you out of the blue, and it may not be a telemarketer trying to sell unwanted services. It might be Kareem Abdul-Jabbar. The Lakers legend has joined the “Together We Stand” cancer awareness initiative that will entail numerous celebrities calling fans from Sept. 5 through 7th about that very issue. The only things fan have to do involves sharing their email address at this Web site. Abdul-Jabbar represents one of many celebrities that will appear on Stand Up to Cancer’s fourth biennial fundraising telecast on Feb. 5, which will be broadcast at 8 p.m. ET/PT from the Dolby Theatre on 31 broadcast and cable channels as well as on Hulu and Yahoo. Those channels include ABC, CBS, FOX and NBC, along with ABC Family, American Forces Network, Bravo, Cooking Channel, Discovery Fit & Health, E!, Encore, Encore Espanol, EPIX, ESPNEWS, FOX Sports 2, FXM, HBO, HBO Latino, ION Television, LMN, Logo TV, MLB Network, National Geographic Channel, Oxygen, Palladia, Pivot, SHOWTIME, Smithsonian Channel, Starz, TNT and VH1 Other celebrities include Gwyneth Paltrow, Reese Witherspoon, Pierce Brosnan, Jennifer Aniston, Halle Berry, Jon Hamm, Kiefer Sutherland, Ben Stiller, Will Ferrell, Mark Harmon, Rob Lowe, Eric Stonestreet and Danny McBride. Abdul-Jabbar has a personal stake in this initiative. He was diagnosed in Nov. 2009 with a rare form with having a rare form of leukemia. In multiple interviews since then, Abdul-Jabbar has reported staying in good health because he consistently takes antibiotics and exercises. Grab a seat and gather around Kobe Bryant. 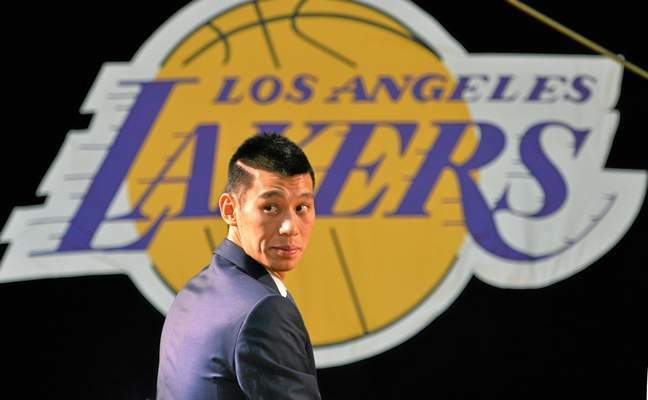 The Lakers’ star will answer any question posed by any of his fans in China. Really, anything. Bryant held a fireside chat recently during his promotional Nike tour in that region, touching on everything. His mental focus. How he stays motivated. What moves he works on during the offseason. How he keeps his confidence. And, of course, how will he play in the 2013-14 season after appearing in only six games last year because of injuries to his left Achilles and left knee. The Lakers officially signed guard Jordan Clarkson on Monday, providing more depth to a backcourt that it hopes stays more effective and healthy than last season. The terms of Clarkson’s contract were not immediately available, but his contract is non guaranteed since he is a second round draft pick. The Lakers became intrigued enough about Clarkson’s potential that they paid the Washington Wizards $1.8 million to secure their 46th overall draft pick in this year’s draft. Clarkson provided early signs the Lakers made a steal in the draft after leading the team’s summer league team in scoring (15.8 points per game) and rebounds (five). Clarkson, whom the Lakers believe could play at both guard positions, also made a game-winning tipin in the team’s summer league win over Golden State. He could compete for playing time at both point guard and shooting guard amid a backcourt that features Kobe Bryant, Steve Nash, Jeremy Lin, Nick Young and Xavier Henry. Bryant, Young and Henry are also expected to play some minutes at the small forward spot. Clarkson averaged 17.5 points last season with Missouri, but he shot better than 38.5 percent from the field only once in his last nine games. Yet, Clarkson showed some promise with his shooting, going 42.1 percent from the field through five games. The Lakers currently have 13 players under contract. Per NBA rules, all teams can field up to 20 players during training camp next month, but they can field no more than 15 beginning Oct. 28 in the Lakers’ season opener against the Houston Rockets at Staples Center. Kobe Bryant’s quest for greatness always entailed having a few indistinguishable qualities. His unmatched drive. His ultra competitiveness. His willingness and ability to overcome too many injuries to count. His pursuit in adding new wrinkles to his game. But as Bryant suggests in the trailer for his upcoming Showtime Documentary, taking such a journey entailed many bumpy roads. The documentary will likely go into more detail on such challenges. Those could range anywhere from entering the NBA fresh out of his school, his conflicts with Shaquille O’Neal, finessing his demanding leadership style, managing how he shoots a high volume of shots without hurting the team concept and proving he can withstand a full season after playing in only six games last year because of injuries to his left Achilles tendon and left knee. As Bryant mentions in the trailer, however, he has vowed to continue to push. It has made him the player he is today, a five-time NBA champion and fourth time all-time leading scorer. And, he believes, it will be the only formula in ensuring his last chapter of an otherwise storied career features a happy ending. Lakers general manager Mitch Kupchak has an announcement to make. No, Kupchak did not just make a trade. Nor did he finalize the last signings of Byron Scott’s coaching staff. Kupchak heeded the call from Dodgers president and chief executive Stan Kasten to join in on the ALS ice bucket challenge. In an initiative that has gone viral, the challenge entails getting drenched with a bucket of ice and raising both awareness and funds to fight amyotrophic lateral sclerosis, otherwise known as Lou Gehrig’s disease. Kupchak, Kobe Bryant and Steve Nash are the main members of the Lakers that have participated in the campaign. In doing so, Kupchak passed the baton off to executive Jim Buss, actor and long-time Lakers fan Jack Nicholson and former Lakers general manager and current Golden State Warriors advisor Jerry West. As the video above shows, Kupchak clearly looks uncomfortable with the frigid temperatures. But he enthusiastically went through the discomfort all for a good cause. It turns out Jeremy Lin has something in Kobe Bryant beyond playing for the same team (Lakers) or sharing the same birthday (this Saturday). By Thursday, both will have the honor in having wax figures depicting their likeness at the Maddame Tussauds, which showcases lifelike wax images of celebrities, athletes and politicians. Bryant is already immortalized at the Los Angeles branch. On Thursday, Lin will have his unveiled at the San Francisco branch in Fisherman’s Wharf, which is fairly close to where he grew up in Palo Alto. Lin, who was born in Torrance, became the first American of Chinese or Taiwanese descent to play in the NBA. That background coupled with the so-called “Linsanity” that featured his breakout season three years ago with the New York Knicks has contributed toward Lin having a huge following in Asian countries. The Lakers acquired Lin this summer from the Houston Rockets, who also gave up a first and second round pick to clear cap space in their unsuccessful pursuit toward Chris Bosh. Though Lin fought inconsistency last season, the Lakers found promise in his statistical output in points (12.5), shooting percentage (a career-high 44.6%) and assists (4.1). They believe such talent could provide the Lakers some reinforcements for Steve Nash, who played in only 15 games last season because of persisting back injuries. You read about Lakers coach Byron Scott talking on Tuesday to students at Compton Centennial High as part of the school’s Male Academy program. You read about Scott saying that outside of Kobe Bryant, the Lakers’ starting positions remains “up for grabs” during next month’s training camp. You read about Scott saying he hopes to have his coaching staff finalized by the end of this week. But pictures always tell a 1,000 words. And in the case of LANG’s photo gallery of Scott’s appearance Tuesday at Compton Centennial High, plenty of images tell various stories. Pick a moment. Any moment. Kobe Bryant’s pained expressions as he endlessly sat on the sideline. The Lakers’ double-digit blowouts. The team’s training room that continuously became more crowded by the day. The fan disenchantment toward Mike D’Antoni, who elicited mixed support among his post players and role players despite fielding an injury-ravaged lineup. Hardly, any of these images would become mistaken for such iconic Laker memories filled with championship glory. Instead, they partly explain why the Lakers finished last season with their worst record in LA. franchise history. Yet, the NBA’s Web site still compiled a list of the Lakers’ top 10 plays of the 2013-14 season, providing some rare good moments during an otherwise sour year. You can see Nick Young making acrobatic shots. You can see Xavier Henry and Wesley Johnson shows bursts of athleticism. You can see Jodie Meeks’ prolific scoring and endless hustle that ensured a career-high in points (15.7), shooting percentage (46.3%) and minutes played (33.2). You can see Ryan Kelly becoming a pleasant surprise as a second-round rookie. But all of those moments cannot erase the reality that the Lakers’ 2013-14 season became mostly difficult to watch. It also does not camouflage the uncertainty that awaits ahead on the Lakers’ rebuilding process.